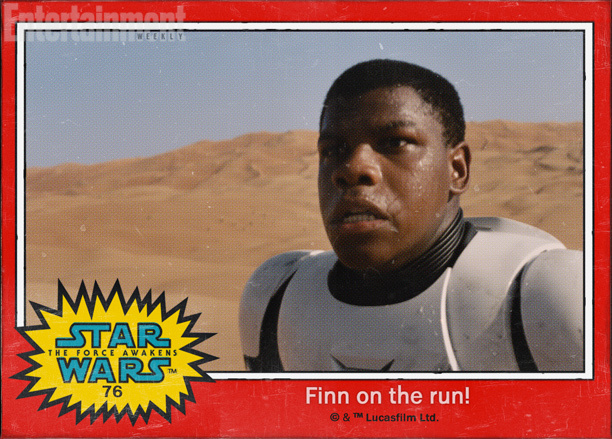 J.J. Abrams spoke with Entertainment Weekly about “Star Wars: The Force Awakens.” During that conversation he opened up a collection of “vintage” Topps trading cards for Episode VII. The cards had the images of the characters we saw in the trailer complete with their specific character names. 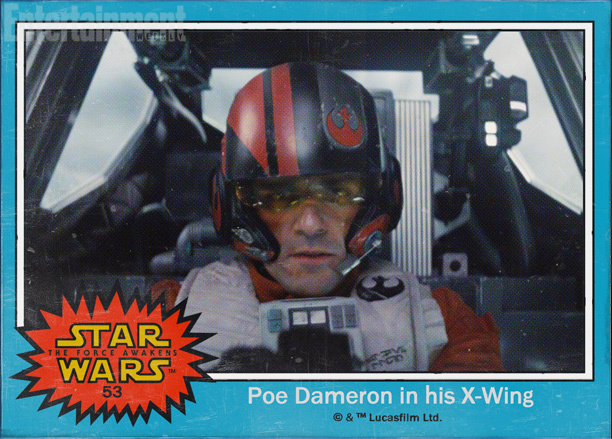 Oscar Isaac is Poe Dameron, the Sith looking figure is Kylo Ren, and Daisy Ridley is Rey. 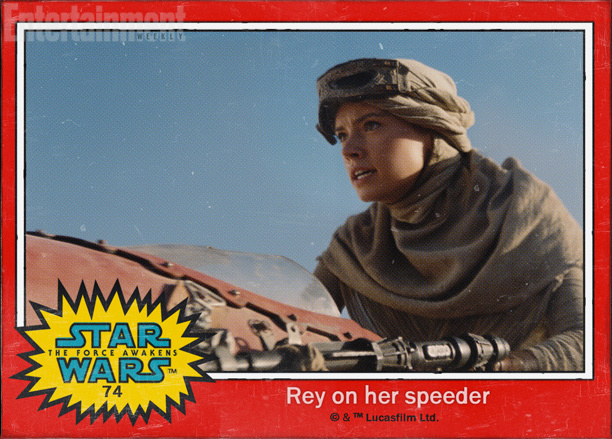 The cards only display the first names of the characters played by John Boyega and Daisy Ridley, which some are thinking will be the lead characters. Rumors are flying around the internet that they both could be descendents of some original trilogy characters. 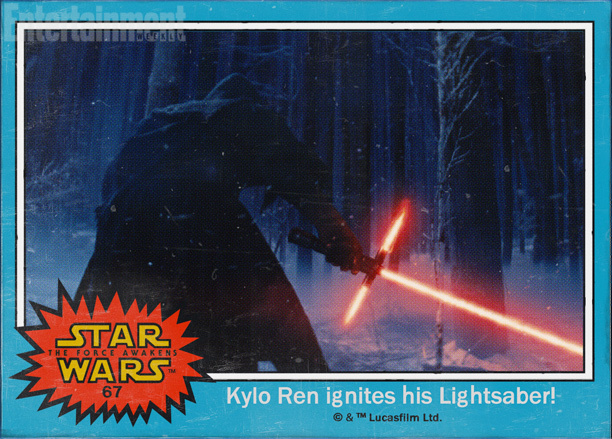 J.J. Abrams did say to Entertainment Weekly that the numbering of the cards/characters does matter. Print article This entry was posted by Art Eddy III on December 11, 2014 at 2:14 pm, and is filed under Entertainment. Follow any responses to this post through RSS 2.0. Both comments and pings are currently closed.